Deportations have powerful symbolism in modern European history. The notion that the government of a would-be member state of the EU might propose the forced collective expulsion from its territory of a specified nationality ought to be unthinkable. Yet that course was casually threatened yesterday by Recep Tayyip Erdogan, the Turkish Prime Minister, against 100,000 Armenian migrants. 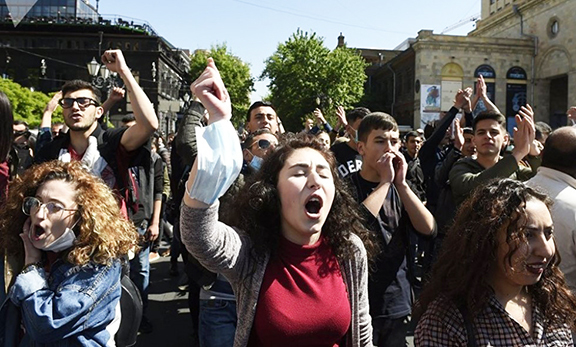 Turkish Armenian relations are convoluted, but the ethics of Mr Erdogan’s remarks are not. His intervention is demagogic and disreputable. without precedent in modern history. Historical truth matters. It is extraordinary that the Government of modern Turkey should resist it. No one alive today was responsible for these barbarities. They were committed by an imperial power that has long since passed into history along with Wilhelmine Germany, to which it was allied in the First World War. While running for the presidency, Barack Obama declared his intention of being a leader who would speak the truth about the Armenian genocide. In practice, while his views are a matter of record, Mr Obama has been conciliatory in relations with Turkey. Mr Erdogan has little cause for complaint about the symbolic diplomacy of resolutions on historical events. He has no justification whatever for threats against Armenian migrants. Turkey is home to thousands of illegal immigrants from Armenia. Few would dispute that sovereign nations have the right to determine barriers to entry on the part of non-citizens, but these are migrants who have sought refuge from disaster. Forming an impoverished population that does necessary but low-wage work, they include many whose homes and livelihoods were destroyed in the Armenian earthquake of 1988. Mr Erdogan estimated yesterday that of 170,000 Armenians in Turkey, only 70,000 held Turkish citizenship. He threatened directly to tell the rest to leave. Turkey is a member state of NATO and a strategically important power within the Western alliance. It borders Iraq, in whose stability the Western democracies have an intense interest. But the Government in Ankara cannot exploit that status in order to advance its own diplomatic goals at the expense of liberal values. To object to a proper historical accounting of awesome crimes is a demeaning and destructive stance. But then to retaliate against the most vulnerable people within Turkey’s borders is unconscionable. This article should be sent to all the British Parliamentarians, representatives of both Houses, especially The Lords, who do not accept the Armenian genocide. I wonder if they had voted against the Jewish holocaust what would have happened.